If you look at the label on your favorite processed snack, there's a good chance you have no idea what half the ingredients are. It's nothing new, but with natural and organic foods becoming huge trends, we're hyper-aware of all the "chemicals" we eat. But the word "chemical" doesn't just refer to compounds and solutions you'd find in a lab. 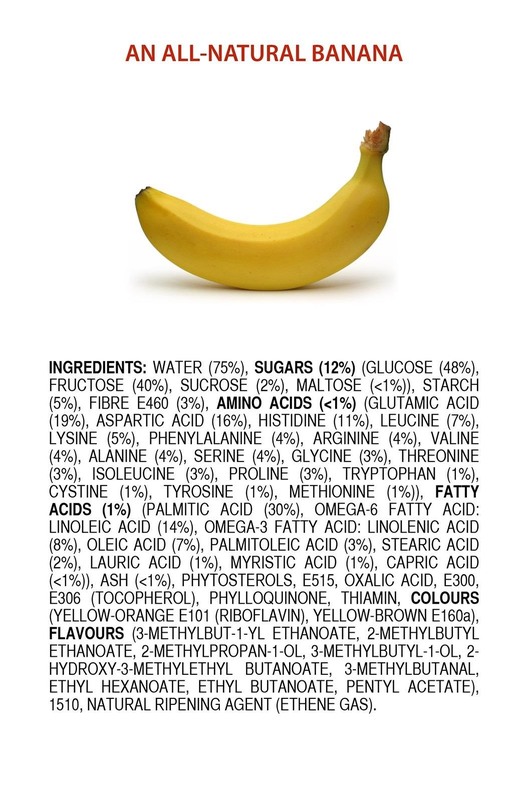 You and everything around you, including the organic produce in your refrigerator, is made up of chemicals. 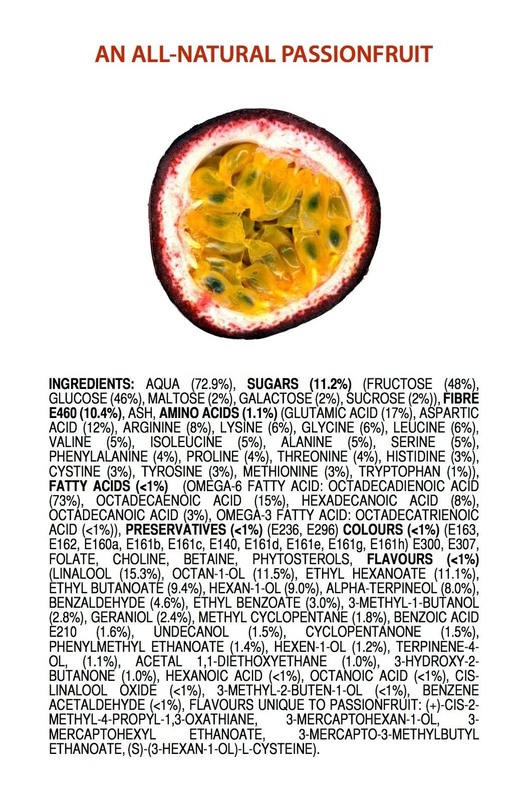 That's not to say it isn't good to pay attention to what you're eating, but you shouldn't automatically be afraid of ingredients just because you've never heard of them. 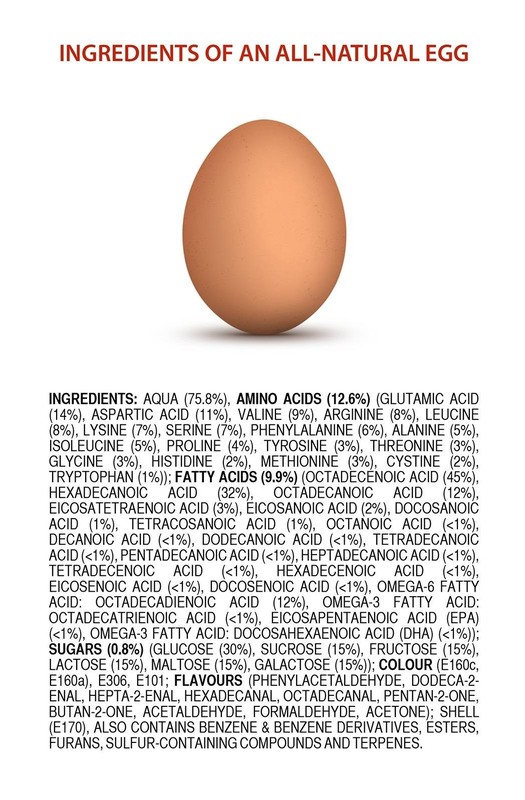 That's why Australian chemistry teacher James Kennedy created a series of images listing all the "ingredients" that make up natural foods. 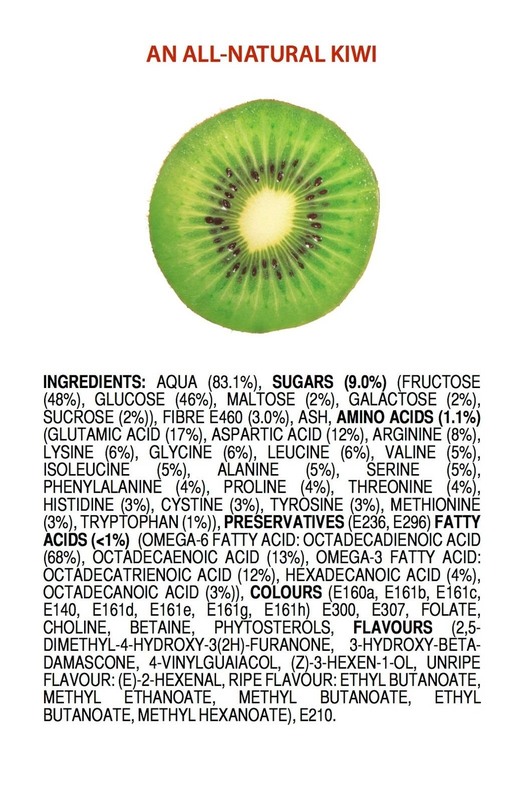 Kennedy wanted to show that even the foods we consider to be the most natural, like fruits, vegetables and eggs, are made up of complex ingredients the average person wouldn't recognize. And a lot of them also used in the food you eat—you just don't know their scientific names. 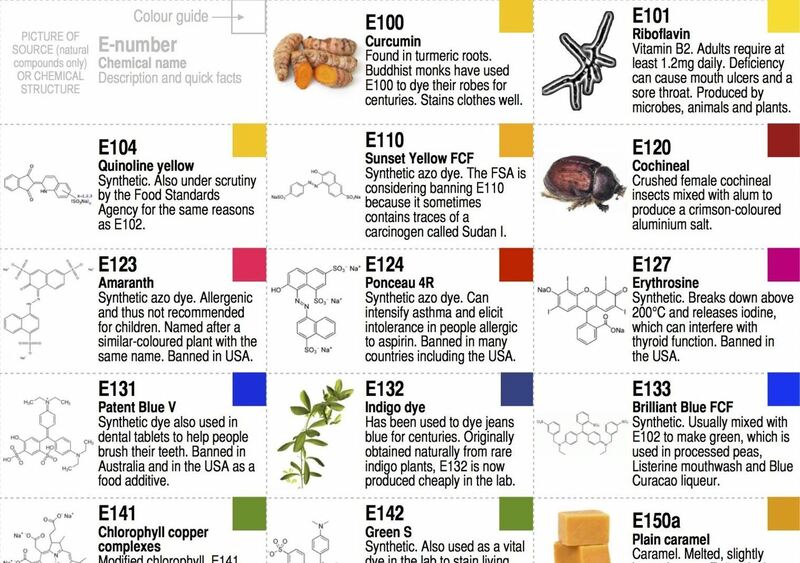 On his blog, Kennedy posts all kinds of other charts and infographics that show how chemistry is everywhere we look. He explains the chemical reactions that produce things you use everyday, and where common dyes and colors come from in nature. You can find these and tons more on Kennedy's blog, James' reading list. If you're interested in owning some of his work, you can buy his infographics in poster form, or even on a T-shirt. ok they look the same to you in your laboratory, so go ahead and take those ingredients to your lab, with your special white "sciencey" coat, and make us any of those same fruits/foods, or even something remotely close that doesnt make a human sick with daily consumption. 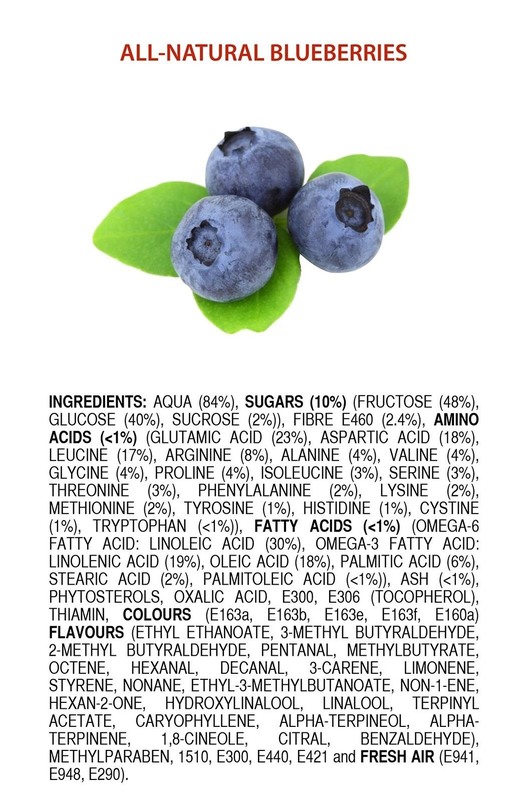 these mindless university book memorizer monkeys dont seem to understand that people want food/ingredients as nature made them and in formulations and ratios as their bodies would encounter as found in nature, not made in laboratory. even a simple concentrate such as juice in unnatural large dose, is "medicinal", and begins pushing the boundary of what the body can tolerate. these are the people that demonstrated to not to be naturally intelligent by preteen age, in their first 20 years of life still had no skills or knowledge to offer, and a university certificate is their last hope in finding selfworth.